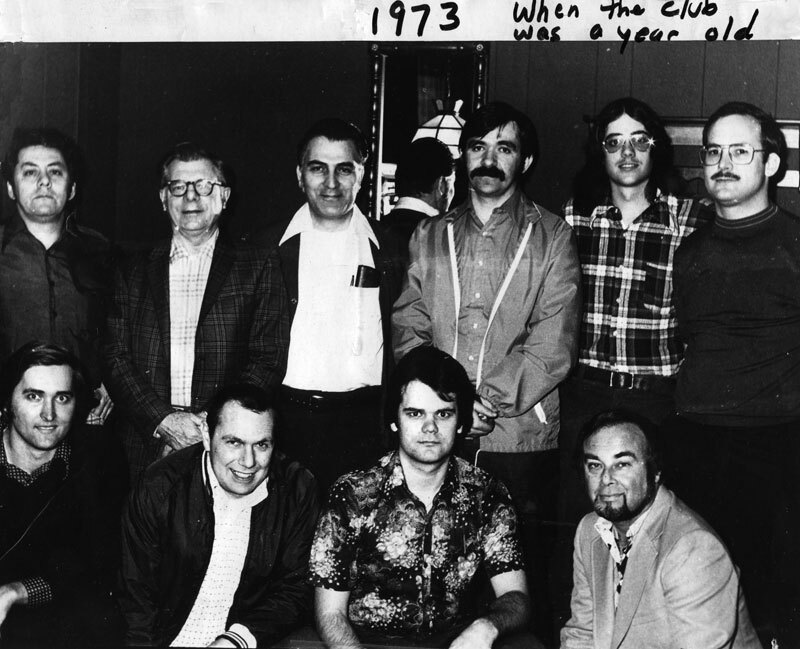 It's hard to separate the history of the Kenilworth Chess Club from the history of my life. 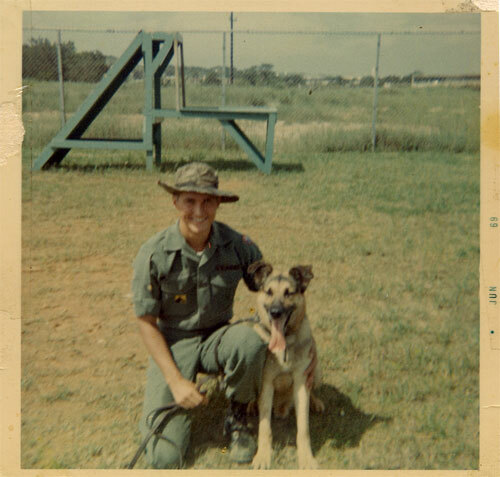 Drafted into the U.S. Army during the Viet Nam War in 1968, when I was 20-years-old, I became interested in running. I ran a lot while stationed at Fort Dix in New Jersey and Fort Gordon in Georgia. I did not then know how to play chess. Maybe I knew how the pieces moved, but not even the most basic rules. 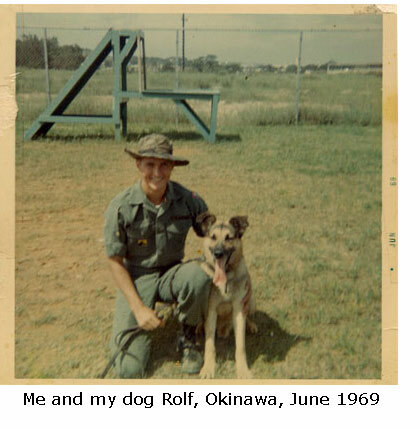 I served in Okinawa in the Military Police as a dog handler and I was fortunate not to see combat. After I was honorably discharged, I entered college and decided to study in England for a semester. This was 1971. While I was studying at Brighton College of Education (now University of Brighton) in Brighton, England, I met Alyson Jones at a college Christmas dinner. Years later she became Alyson Mason and now has a beautiful family in Abingdon, England. I thank her for teaching me more about the royal game, but one thing I will never forget is when she showed me how to castle kingside, moving two pieces at once. She emphasized the importance of safety. Chess is like a mirror and reflects life. Having just left the Army during one of America's most terrible conflicts, this idea struck me deeply. You might say that chess became a refuge for me. When I came back to Kenilworth in 1972, I had started to play chess a lot with my friend Rob Swails and my sister Diane. But I was still more into running. I usually went out running around the Brearley High School track in town. On these runs I often saw another fellow running about the same time and one day stopped to say hello to him. His name was Vinnie Smith, and he turned out to be an avid chess fan. I told him that I had just learned chess while a student in England and really enjoyed the game. 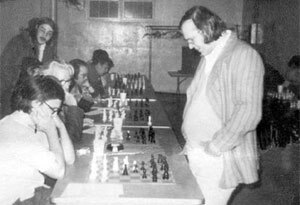 Vinnie was active in chess and a co-founder, with Joe Walyus, of the Kenilworth Chess Club that had just formed during the summer of 1972, at the height of the Fischer craze. He invited me to come and play and join the club, which even then met in the Community and Recreation Center on the Boulevard, within walking distance of my house. I’ll never forget that first day when I came in September of 1972. I was nervous. Mind you, I never played against competitive chess players before. My first opponent was George Zayat. After he soundly defeated me, George suggested that I should buy some chess books. Soon I became a member and also met Richard Lawrence, Ed Hoag, Andy Wolman, and Mark Shoengold--some of the earliest members of the club. Vinnie Smith ran the club in the early days. I remember Ed (who was an A-player) showing us some opening variations to try to exchange pieces and draw a master. I am so truly happy I joined this club, since the friendships that I have made throughout the years were so important to my life. (left to right, bottom) myself, Vinnie Smith, Andy Wolman, and Sy Fish. Note: All photos can be clicked to enlarge. I took a few lessons from Edgar and he taught me “passed pawns must be pushed,” "don’t be passive--counterattack," and one thing I should have listened to more: “take your time" or "sit on your hand before making a move." 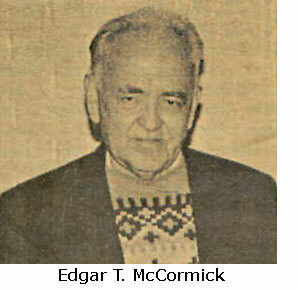 Edgar was twice New Jersey State Champion (1951 and 1972) and served as president of the NJSCF for a time. When he passed away in March 1991, I attended the Memorial Service for him at the First Congregational Church in Westfield, along with many other people who were involved in chess on the East coast. I think his family was rather surprised by how many people were affected by him and wanted to turn out. Among those giving dedications were GM William Lombardy, Dr. Richard Lewis, Glenn Petersen, Irving Ellner, Scott Massey, and Edgar's niece. Despite his conservative demeanor, Edgar liked to play some sharp lines. With Black he played the Scandinavian or Center Counter (1.e4 d5), Chigorin Defense (1.d4 d5 2.Nf3 Nc6), and Albin Counter Gambit (1.d4 d5 2.c4 e5 3.dxe5 d4) and with White the Frankenstein-Dracula Variation of the Vienna (1.e4 e5 2.Nc3 Nf6 3.Bc4 Nxe4!? 4.Qh5!?) -- all very sharp and tactical. Yet he could also play "simple chess" and often defeated opponents in the endgame. The following game features a bit of both his styles: a wild and complicated middlegame followed by a nice technical win against one of the great American players. You can learn more about the "50th Jubilee" US Open in Omaha, Nebraska where this game was played by checking the following site online at http://www.huntel.net/jjirous/usopen49.htm. There you will discover that Edgar finished an impressive 12th out of 70. Stoyko and Bill Freeman, c 1975. Our club was very active from its founding in 1972 to the mid 70’s. Chess was alive on the heels of the Fischer-Spassky match of 1972, but by about 1978 the “Fischer Boom” was starting to subside and the club started losing members. Not many people showed up at the meetings. 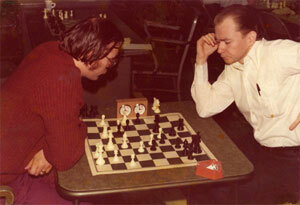 Then in about 1979 the Elizabeth Chess Club needed a building. The Elizabeth Club had new chess sets, boards, chess clocks, score sheets, and magazines. The condition to get these new supplies was that we let them move in with us and change the name to the Kenilworth-Elizabeth Chess Club. Everyone agreed, and we saw a substantial increase in our membership. By that time Vinnie only occasionally appeared and expert Irving Ellner, who had been president of the Elizabeth Club, began to take charge. The club gained more members from Elizabeth when this change occurred and Irving started the ladder tournaments again. 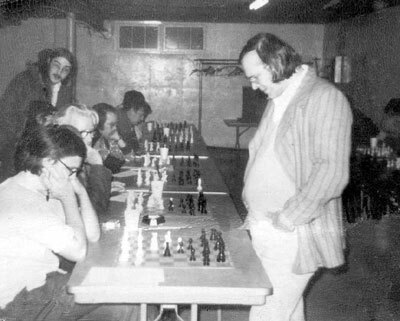 There were many chess books that Irving donated and gave to the club as prizes. And the club membership was a dollar, which also encouraged more players to join. Irving was the president from 1979 to 1985, when he informally gave the job to me.